Magic can take on many forms, but at Brand Assembly we love seeing the magic transcend from the work of our incredible community of contemporary designers. One of these talents is known for her affinity for a whimsical and quirky approach to design. 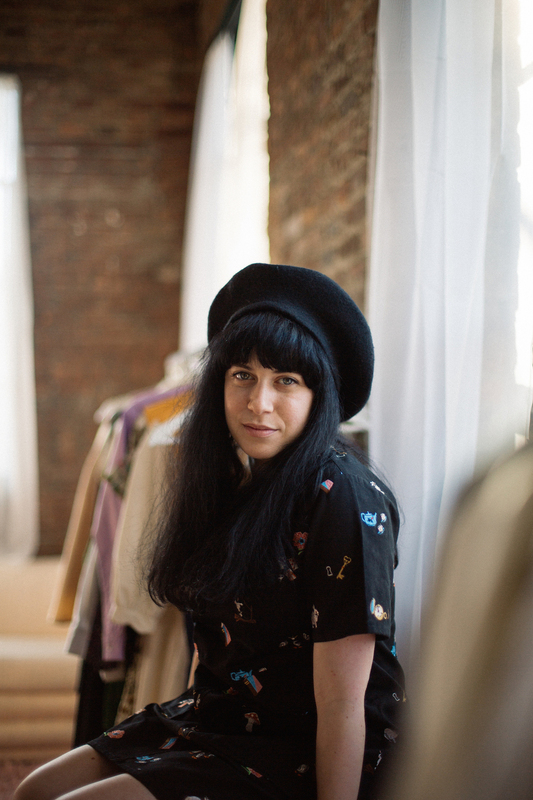 Enter Samantha Pleet, a Pratt Institute alumna whose passion and point of view have helped pave the way for her success in fashion. Though Samantha’s influence reaches style mavens and celebrities alike, she’s known for marching to the beat of her own sartorial drum - and we’ll be the first to admit that we love what we’re hearing and more importantly, wearing. That’s why we’re thrilled to share more from our afternoon at her new studio (affectionately known as the dream house) in Brooklyn, NY. We played dress up and chatted about the magic of fashion design, community, and what she’s assembling in her brand next. Discover more below and head over to The Style Line for an exclusive second part of this interview. I have been designing for the last 9 years, I started the collection after graduating from Pratt Institute. My husband and design partner Patrick joined the company about 4 years ago. Since then the two of us have been working night and day doing what we love. When we're not at the studio we go to movies, have dinner parties, and travel around with friends. BASED ON YOUR PROFESSIONAL EXPERIENCE, WHAT ARE THREE TOOLS/RESOURCES EVERY FASHION DESIGNER SHOULD HAVE UNDER THEIR BELT? A contact of a good pattern/sample maker, a fabric contact, and an Instagram account! Your designs are often referred to as “dreamy” or “magical” so as you’ve developed your approach to design how would you say your definition of these two terms have evolved? Since I started my line I have always been fascinated with the idea of looking magical or special. Magic to me is something that transcends its components - it's not just a dress that is fabric sewn together, it's a lot of elements that are carefully selected to be brought together to become a very special object. HOW HAS BEING APART OF THE BRAND ASSEMBLY COMMUNITY CONTRIBUTED TO YOUR LIFE AS A DESIGNER? They are a great bunch! I feel they are really passionate about what they are doing. Since the brand’s inception can you think of any one design milestone that’s really captured the essence of what you’re trying to do as designer? It's lots of little victories over time. We have learned that it's never one big thing - you can't rely on that. I used to think I would have one big accomplishment and everything would be different, but it's more like a steady growth. How would you characterize the contemporary fashion community and how has it evolved since you first launched? Actually, I feel that when I started there was more of a centralized establishment of fashion and it was hard to have a voice outside of that. But with the rise of social media, the industry has splintered into smaller communities which makes it possible to have a career without having to rely on that. There is not really one element, more of a question I keep asking myself which is, "Is this helping to define the brand more clearly?" From designing a detail on a garment to production of a photoshoot, it's constantly planning. I am always working on multiple projects at once and building them all slowly and shaping them carefully.